Digital shop restructures following parent company's sale to You & Mr Jones. Dare has appointed its business director, Atem Mbeboh, to lead the agency as managing director after the exit of chief executive Michael Olaye. 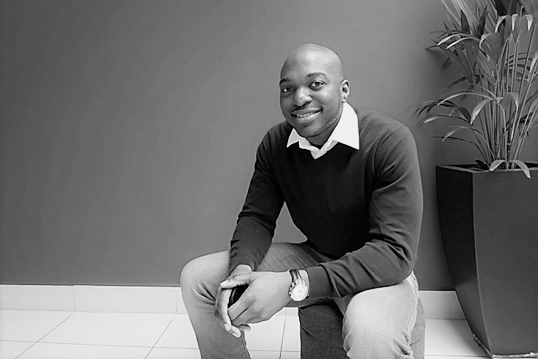 Mbeboh joined Dare as business director in 2018 from 4Media Group, where he was deputy managing director. He will lead a management team that includes client services director Janey MacRae, creative drector Ben Long and director of experience Roz Thomas. Part of Mbeboh's agenda will be to lead Dare as its parent company, Inside Ideas Group, settles into You & Mr Jones following its acquisition in January. All of Dare's delivery, creativity and tech department heads will report directly to Mbeboh, with no changes to these departments in terms of structure. Rachel Hatton, former strategy partner at Dare and chief strategy officer at Inside Ideas’ in-housing specialist agency Oliver, will now lead planning in a group-wide role. Hatton will be responsible for strengthening Inside Ideas’ strategic capability as it begins to roll out data and content strategy services to You & Mr Jones, which also owns content shop Gravity Road and mobile marketing group Mobkoi. Campaign revealed Olaye’s departure last month. He is relocating for personal reasons, having joined Oliver in 2016. Inside Ideas UK chief executive Sharon Whale said: "Dare will play a crucial role in our group capabilities going forward and the new leadership team signals that. They have the group support they need to grow within the wider organisation, with a stronger strategic and creative backing." Oliver and the rise of in-housing: Is it really cheaper, faster, better?